?WATCH THE VIDEO PRESENTATION ON YOUTUBE? Hey there everybody, my name is Ryse, and I’m one of the early adopters of Crowfall. Over the last three years, we’ve watched as the game has gone from a great concept, to a functional prototype, and we’re finally entering the phase where the game is taking on a life of its own. In that spirit, the Development team has made it clear that they welcome any and all feedback on the designs, as they come into existence. Early on in the game’s development, I proposed a ‘Lore’ system which was a rough collection of ideas based on the early mockups. Now that the game is reaching a place where the Alpha is actually in sight, I’ve taken the time to link all of these mismatched ideas into a system which I’ve dubbed the ‘Lore Thralls’.
? LORE CRAFT OBJECTS ? The Lore Craft system is broken into three basic components. Thralls & Relics, Fittings, and Fascets. Thralls and Relics are the base placeable units. These are broken into Animate and Inanimate objects because Necromancers can craft the Thralls for both NPCs and Monsters, whereas each craft gets a library of Relics which they’re able to produce. Fittings nest into Relics and Thralls, and provide the functionality for those creations to actually do something. Whereas Fascets give flare and aesthetic customization to the interactivities to the models used by the Fittings and Thralls. Think of the Thrall as the Ring, the Fitting as what Type of jewel can be equipped, and Fascets as the actual stone that turns it into a “Diamond Ring” or a “Ruby Pendent”. All lore objects come in all rarities, and there’s an equivalent craftable by each of the varied artisans, so that there’s a reason for each craft to level the tree. Though Lore Thralls and Lore Relics are very similar, (I.e. They’re nameable, and the cost of upkeep is dictated by the rarity) they’re unique in that only Monster and Lore Thralls can have Manner Fascets equipped to change their model’s animation and flavor behavior. Additionally, only Lore Thralls have ‘Approach Dialogue’ text, that creates a bubble over their head, containing a snippet of dialogue as the Player approaches. Lore Thralls can be used to begin quests, and end them, as well as provide merchant services. Curious on other functionality? Read on; there’s more information on unique functionality farther along in the post (Or watch the video above). Monsters have a unique way of granting a quest. A fitted quest node will activate when the monster is killed. Additionally, they have two ways to drop an item. They can drop ‘Lore Item’s’ but also have an inventory of potential drops which are player crafted. Consumables, Gear, and Housing items can be set to drop from the mobs spawned by the node, and the EK’s Admin has control over drop rates, and whether the drop is unique to the player. They can also control the spawn distance from the node. The actual spawn location’s x and y, as well as the monster level and any mob-specific drops (Crafting Ingredients, Gold, XP, etc.) are all dictated on the server level. These are calculated based on the global ArtCraft tables, and based on the level of the Parcel which the Thrall or Relic was placed. That way a level 20 quest is created in a level 20 parcel with level 20 rewards. 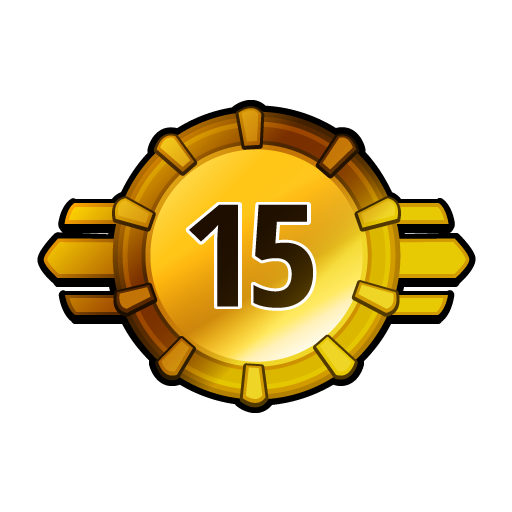 If however, the player chooses to place a level 50 reward onto that mob spawn, that’s without a doubt their right. Monster Thralls feature an Essence Fascet instead of a Manner Fascet. This allows a variant of the monster to be produced. So if the player wants to have the Spider emit smoke, or be made of lava and leave a trail behind them, then they need to equip a Smoke or Lava Essence Fascet. Otherwise it will be a boring old brown spider. Not ever quest comes down to talking to someone, or killing something. Often a great story is based on finding an ancient relic, or reading a stone hidden in a forest. In these instances, it’s a crafted Object Relic that a player would turn to. Bearing the appearance of a regular crafted item, these inanimate objects have their own Lore GUI, and an aura in the world that denotes them as events. And just like the Lore Thralls, they can be used to Start and End quests, and as Merchants. There’s also potential here for ‘Storage’ nodes (as discussed in one of the earlier development videos) a Storage Fascet could be equipped and configured as Global, or Private, with the rarity of the stone dictating the amount of slots and options available to the player. Rather than dialogue, these objects have an optional description which can appear on mouse over in a tooltip, and or in the chat. Objects also have the power to have Music or Sound Effect Fascets attached to them. These will trigger on use of the Object or completion of the Quest step. There are other ways to have ongoing Sounds or Music, but we’ll get to that a bit later. Only ‘Effect’ Type Essence fascets can be equipped to Objects, such as Smoke, Fire, Steam, or Shadow. Unlike the Monsters, the variations on objects are crafted, so that there’s more freedom for the crafter to decide what to make, and more variation in the crafting process. It also increases the value of the Blueprints generated by the crafter.
? MANNER, ESSENCE, and MUSIC FASCETS ? Essence Fascets cover a large breadth of effects. They can change the model on a Monster, alter the particle effects of Drops, and even shift the color spectrum of the environment around a given object. Manner Fascets change the way a Thrall behaves. They can trigger during a Thrall’s idle animation, or at each phase of the Model’s interactions, like Quest Turnin, or Shop Activation. Think of these at the level of Ocarina of Time NPCs. They do a basic animation central to them, and then, when you speak to you have a simple animation in response to what you’re doing with them. Music and Sound Fascets have a library available to each type of Fitting, as well as a category of Global sounds. They are meant to create Voices, Atmosphere, Music, and Sounds that reflect the objects and the story being crafted. Music Emitters are invisible to the Player outside of Edit Mode, and can create looping Atmosphere Sound Effects or Music in an AoE range around where they’ve been placed. They also have settings for frequency of repeat, and whether they’re constant, or trigger on player approach. Just as there are sound and Music emitters, there are object emitters as well. These have multiple drop fittings attached to them. The goal being, that a Common Emitter will only have one Drop Slot, where a Legendary will have five. Making a rarer Emitter more diverse in zones where multiple quests have drops in the same place. The Emitter can be invisible, because the spawns of ‘Fruit’ or ‘Keys’ bear the model of their Fitting. The same can be said for the Fascets. They’re on the Fitting level, so the emitter doesn’t need one. That said, Rare and above Emitters have their own Fascets for addition of Music, and Sound on one Emitter, instead of having to have multiple stacked emitters. Also, items created by the Drop Fittings are considered ‘Lore Trash’. They exist on the Eternal Kingdom, and can’t be brought out of the world. Additionally, they can’t be placed in banks. They’re cosmetic, and only exist for the purpose of undertaking quests. There’s a potential here for a separate inventory page which contains only quest items that fit into these categories so as not to clutter the player while enjoying the player curated content. When these objects spawn in the world, they can have their own fascets. So that a Key dropped by a fitting could glow orange, and hum. Or it could be black, and the sound of crows plays when the player gets close to it. When the Lore Drop is picked up, the rarity of the icon in the player’s inventory is dictated by the rarity of the Drop fitting. 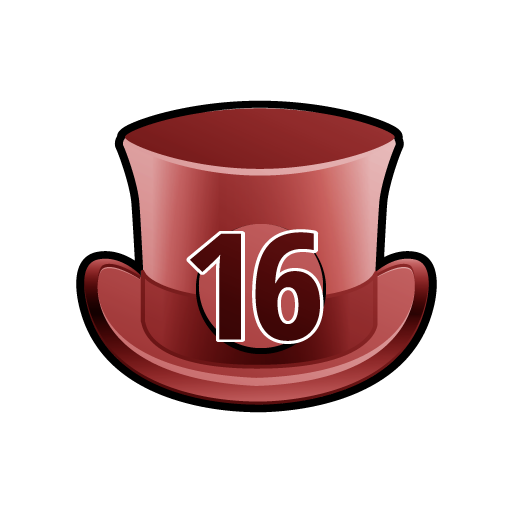 If it’s important to you that ‘Balthazar’s Hat’ be a Legendary Lore item, then you’ll have to grab that fitting from a Tailor. The Quest nickname will appear on the NPC’s dialogue screen. As will the icon showing the player what kind of Quest it is. You can see how many quest completions remain before the Fitting becomes inactive, as well as the Replenishment cost of adding to that total on the NPC which it’s equipped to. If Gold is at a premium, you can also sacrifice any of the same type of Fitting, at the same Rarity in order to fully repair the Fitting. Similarly to the rest of the GUI for Crowfall, the frames for the equipped Fittings slide out to the right of their Thrall when selected.
? QUEST FITTINGS CONTINUED ? Prerequisites give the ability for a player to create a quest chain, or a Pre-Lore quest before a given set opens up. However, because that layers content, if a Prerequisite quest is either toggled off, or needs replenishment, all quests with it set as prerequisite will be toggled into the ‘Hold’ state. Restoring a Prerequisite quest or removing the prerequisite toggle from a quest will restore it to working order. Tabs of quest information, like the target, are available only in certain types of quests. Some quests are one-off, like Fetch Quests, and can therefore have their own turnin steps. Other quests require delivery of items, or for the player to collect a Drop. So they have Receiver node selection panels, or Drop node selection panels. A quest can toggle both its repeatability, and has its own Player crafted Drop Inventory for when the quest is completed. If a quest is repeatable, so is the crafted reward. If it’s not, then that item is only handed out once to a player. The rarity if the fitting opens additional storage pages here as well. These quests appear in a special quest tracker unique to the world. Some Quest types and Rarities open up an option to have Essences and Sound Effects or Music trigger on Turnin as well. Just like the prerequisites, if a quest has a mandatory Drop or Kill target that leads to another Fitting, and that fitting is disabled for any reason, then the quests that use it will be set to hold, and a hold reason will be available on mouse over of the Hold Error in the GUI. That said, a Thrall or Relic will be visible even if all of its nodes require replenishment from zero. So that the world doesn’t have missing patches, even if the advanced content is disabled. Regardless of whether or not a Drop Fitting is junctioned to an Emitter or an Objective fitting, any Item based Quest, (Fetch, Gathering, Delivery, etc.) can be mapped to have its completion node be any available Drop fitting. For example, Gift Objective Fittings simply present a line of Dialogue when clicked which presents places one of the dropped items from the junctioned fitting into the Player’s inventory. When this same fitting is added to an Object Relic, it takes on the Italicized description characteristics, rather than the Dialogue characteristics of the Thralls. The Fascet slots automatically lock in the same manner when the content is or will not be available to the player with that connection of content. In essence, this system functions a lot like the AppInventor content from MIT. When nodes that can have multiple uses are attached, but a piece of content will not be used, the connection lego piece simply toggles to unavailable so as not to waste time or cause confusion. In this way, there are extensions to content as well. Library Drop Fittings create books similar to the Elder Scrolls novels. Which means that a player can, depending on the rarity of the fitting, create multiple pages worth of reading material for the players. A Legendary Library Drop Fitting with a scroll pattern would produce a Scroll item, that when clicked in the player’s inventory would present a five page, readable lore book with up to 1500 total characters of lore, as written by the admin of the Eternal Kingdom or one of his vassals. And, should that player have a player house within the Kingdom, they could even place that lore item into a Bookshelf which is compatible with them. The same system would apply to Signs, Posters, or any other written object drop fitting. Any Thrall which is placed into an EK (I.e. Converted from a Wearable Thrall into a Lore Thrall, or crafted as a Lore Thrall) has a Merchant Fitting Slot Attached. The rarity of the Thrall dictates the replenishment cost, as well as the number of Merchant Tabs available to the player to sell items in. The player can toggle whether or not the Thrall Merchant appears in the Market Board for the Eternal Kingdom (Local Auction House) on the Fitting Screen, or on the Lore Management GUI screen. From Uncommon Thralls on, Fascets for Manners and Sounds can be attached to the fitting for use on the shop. Additionally, the gold from sales can be claimed individually from the Merchants (So that Vassals can collect all of the gold, or from the Lore GUI. Lords and Server Admins can see only the Taxes they’re due on the merchants, and in the Lore GUI for Thralls which they have the ability to Move or Remove, but not the core gold amount. In this way, the administration of a section of land can Repair, Remove, or Move a Thrall which was not theirs, but not harvest Gold that belongs to their Tenant. Similarly, as an admin, removing a Thrall which was not yours (i.e. It belongs to a vassal who is subletting a part of the Kingdom) that Thrall is returned to the Lore GUI’s claim page. The Vassal can then choose to re-place the Thrall, or empty any remaining gold and items into their inventory, leaving the Thrall for later replacement or destruction. Once a Thrall has been placed In a Kingdom, it cannot be removed from that player’s Lore GUI, and can only be replaced or destroyed. In this way there is a constant demand for the creation and procurement of Thralls. When a Thrall is approached in the world, and is right clicked, any Manner or Sound Fascets on the Fitting will trigger. The player can then read their default dialogue with the NPC Thrall focused in the camera view. And available Fittings will show as options below the core dialogue and will show an icon, regardless of text that illustrates what the content is. For example, quests will appear in Yellow, with the Type Icon indicating what KIND of quest it is. Whereas shops will appear with the bag icon, in brown. Any contextual quest objects, like Gift receivers with a prerequisite quest leading to it will always appear at the bottom of the list, in green, to indicate what it is. In this way, there’s uniformity across kingdoms, regardless of the wording used. A player will always know what kind of content they’re getting themselves into. Color Quality of Dropped or Gifted Lore Items. Quality of Fittings and Fascets that can be Junctioned. Pages of Content/Items for Library and Merchant fittings respectively. The LORE GUI is a diverse and functional one-stop-shop for checking the status of the EK’s lore system. Replenishment costs are visible on the left panel, for each type of node. The total number of which is dictated by the number of parcels in the Kingdom, multiplied by the per-parcel limit of that item type. Different Parcels will have different caps for the number of Thralls, Emmitters, and Relics. Which will in turn automatically limit the number of placed Fittings and Fascets, as that will be calculated by the number of parent objects. This menu is available everywhere within the EK, or from a sub menu on the EK load screen. That way a player need not log into an Online Eternal Kingdom in order to manage they Land Owner and Vassal replenishment.
? LORE GUI CONTINUED ? From this menu, Toggling On/Off of elements are is also available. So that, if a piece of content is not functioning correctly, and the manager of that content is elsewhere in the game, they can simply load the menu, and toggle the content to OFF, effectively removing that element from the game until such time as they can return to manage it in person. The Rarity of a placed element, it’s zone, number of uses, Element ID number, Replenishment Cost, Toggle, Removal Option, and in the case of Admin Views it’s Owner are all visible on this central GUI. There is room in this GUI for elements like ‘Flag Item as Not Working’ and Exact Coordinates on mouseover of elements name. A ‘Set Compass to Edit Location’ function might even be greatly helpful. As well as a ‘Has Prerequisite’ mouse over function that tells the player what Quest fitting was set as the prerequisite. But this expansive menu contains all of the base metrics and statistics on the elements placed using the Lore System throughout the game. Much like elsewhere in the Prerequisite system, toggling off a Fitting or Thrall which is set as the prerequisite of another Fitting will inform the player with a warning of the content which will be effected should that Thrall or fitting be toggled off. Continuing past the error will set all of those effected Fittings to the off state, leaving their Thrall or Relic visible with its base functionality, but toggling off the related nodes. Any player currently in the Kingdom, with that Fitting in their Journal, will receive an error message, and the Item, and any Lore Drops associated with that Fitting will be removed from their GUI so as to prevent broken Player created questing. This way, even if an NPC has its Quests toggled off as part of a disabled quest chain, the NPC and any unaffected Fittings will remain available, until such time as the quest has been restored, when it will be added automatically back to the player’s view on that Thrall.
? PLAYER EDITING IN THE REAL WORLD ? Placed elements in the Lore system will appear to the Admin as editable only when the LORE EDIT functionality has been toggled to ON. Doing so converts all of the placed LORE items the Admin has access to into their Fitting icon, with a transparent version of the placed element, and where applicable, its range icon. These elements are highlighted by rarity, and thanks to a barrier disallowing overlap of these elements within a range of a few pixels, prevents them from stacking completely. When the element is clicked, a contextual window leading back to the item is presented to player, allowing them to make edits and changes to the physical placement or content of the Fittings. In the case of exchanging Junctions with other items, the Player can take unjunctioned fittings and fascets from their inventory and bind them to the EK to place them, or grab items from the EK’s Bound Lore Items page (EK Lore Inventory) and simply drag them to the junction to replace them. Doing so wipes any content in them, so should content be within the window, an error message will be presented to the player. Once the Admin is done making changes, those changes will be saved temporarily, but to appear in the world, the Done button must be clicked on the Lore Edit bar, and those changes must be committed to the world. Otherwise, the changes will never appear. This is to prevent accidental changes, but also to allow a creator to make multiple changes to Thralls, Emitters, or Relics before committing the changes. This last piece is something slightly different from the rest of the system, and perhaps the most important part of using the Lore System to bring the whole of the game together as a united culture. Crowfall Relics come in Small, Medium, and Large. Once placed into the world, they take up an empty box, in which no other content can be placed. These sizes equate to an NPC with room around their feet, a small Building, and a Large Building’s worth of space. The player has no control over these elements once placed. Rather, ArtCraft can place any number of events, or game elements within them, up to the maximum confines of the available space. Everything from Seasonal Events, Quests, Server Curated Dungeon Entrances, Lore Driven Cross Game Quests, Tutorials, Special Vendors, Monster Spawns, and more. One of the largest problems plaguing a ‘Sandbox’ MMORPG is that there’s very little reason for players to explore the worlds created by others thoroughly. When a player who may not have the strongest crafters, or best quest design can create a kingdom that can be populated by segments of quests or events curated on the server level, then players can explore other curated content in order to gather special event elements and achievements that the admins of an Eternal Kingdom doesn’t have to directly control. This also allows for a regular rotation of new content and one off events as curated by ArtCraft into the game’s ‘Static Content’ which can span out of the Eternal Kingdoms and back again. From roaming Minstrals to Halloween Hauntings, and straight into Dungeon entrances that randomly open and close, ArtCraft retains an element of creativity which incentivizes admins to place them by discounting the Taxes on Parcels in which they’re placed, and access to unique rewards for the Kingdom for having players complete the content within their Kingdom. Again, all of this is a loose collection of ideas which I brought together to give one possible view of Player Curated Lore in Crowfall, and the idea is given to ArtCraft freely to hopefully inspire this talented team. It’s my hope that I’ve produced something which is highly expandable, allows for quick toggling of bugged content without destroying the gameplay flow of the kingdoms, is crafter driven, and a constructive gold Sink. 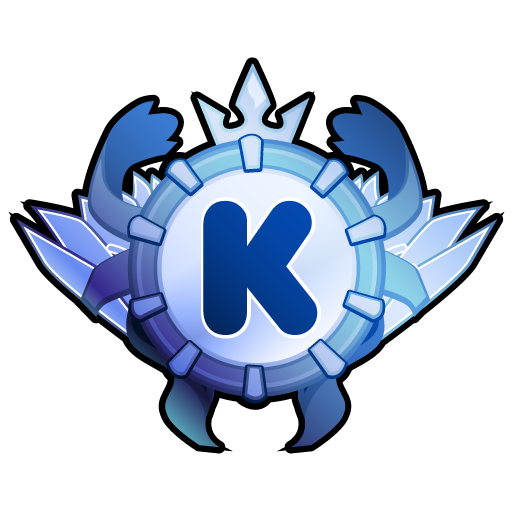 A concept that created a Cross Kingdom lore base and economy, but that confines player creativity to the individual kingdoms, to minimize the cross-world bloat of player curated content.And which is globally wired to events and achievements to provide players with an incentive to create something meaningful and to explore the creations of others. Thank you for reading/watching, and see you in game! I have seen the whole video maybe 30 minutes after you posted it. I think they are all awesome concepts and I would love to make pve quests in my ek. I doubt they will find the budget to implement this but anyway good job i liked it a lot. Thanks Nyamo! I appreciate you taking the time. This was a labor of love. yeah the video was really well done that for one moment i almost thought it was an official one lol. Very well done. This is excellent work, and clearly of high quality. I do not think ACE will be doing anything of this kind for some time however, if at all. That said, if they DO, you've done quite a good chunk of the work for them - nicely done. I haven't finished delving through this amazing amount of effort and thoroughness. I will say that if they want to run a POST LAUNCH Kickstarter just to fund this I'm down day one! My favorite part of this is does something I've wanted since UO; player created and driven PvE/Quest/Content. Once the tools are in place we the players do all of the heavy lifting and fill the EKs with content for other players. Ace wont have to spend any additional resources to keep the content coming. We would basically be a free labor force. Our only pay would be the satisfaction of other players. Just a like the a mod community for a game we could keep interest alive with new content for other players. Also everything we need to build and sustain this would come from the CW. So the loop would only get stronger! Great job! I haven't finished delving through this amazing amount of effort and your thoroughness. I will say that if they want to run a POST LAUNCH Kickstarter just to fund this I'm down day one! A lot of that really was my goal. I was a professional AAA Game QA project manager for about ten years, and a rarely, invest those skills these days. But I genuinely BELIEVE in Crowfall and the concept of player driven lore really speaks to my core. So I wanted to create something that was easily actionable for ACE to act on, if they so chose, that empowered the player base to craft something with depth that took some of the workload off of the Dev team, but that really capitalized on their amazing engine. A system like that would help me create some amazing cat-themed quests and lore for our guild. I can already imagine a whole long chained quest in the search of the holy catnip. Ahaha! I can’t wait to see what you come up with in whatever quest system we find ourselves in. Neko themed stories always bring a smile to my face. I grew up in the Ghibli world, so there’s no such thing as a good story without a whisker or two. I get excited when I think about bouncing around Crowfall like Kingdom Hearts, experiencing all of the creations and lore rich worlds (big and small) crafted by the player base. As a crafter I can also imagine getting a letter from someone who bought a bunch of my rare fittings and fascets and wanted me to come see the quest chain they created. I feel like there are going to be so many stories worth telling, and that following DDO’s example but with a player crafted base, and simple LEGO-like building materials for the story creations that we would get to see so many communities bring things of merit into the worlds. It makes the Anime kid in me jump up and down to think of referencing someone else’s story in my own creations. To have an NPC hand you a Lore item that talks about a neighboring EK’s story as if the two were one. In the long run you remember when you reached sixty, or when you got your first mount, or when you felled with a thirty kill streak in that BG... but years later the stories you tell are always about how the lore reached you. Good presentation of ideas, I do hope they will add some type of system like this eventually. I know there are some really creative players that could build their own quests and adventure zones in the EKs if they had some tools. I especially like how you thought about how to accomplish this without compromising the competitive aspect of the CWs or the economy. I am really happy to see more and more positive feedback for this thread and this idea. Keep it up!! I appreciate the thoughtful feedback. At the core of Crowfall is a battle for the very nature of existence. We’re scratching at the edge of destruction to make something meaningful. And always with Yaga at our back, looking at the moment when our threads will snap. I feel like an economy should be a healthy balance of competition and meeting supply and demand. I wanted a system in which players not only had to be clever with what materials they created but also with how they structured their business to meet the needs of their customer. A thriving crafter culture should also be rooted in PvE. And in this Fable of Lore Craft the players are given the chance see the ultimate form of their creations. People will literally build a world with your creations. 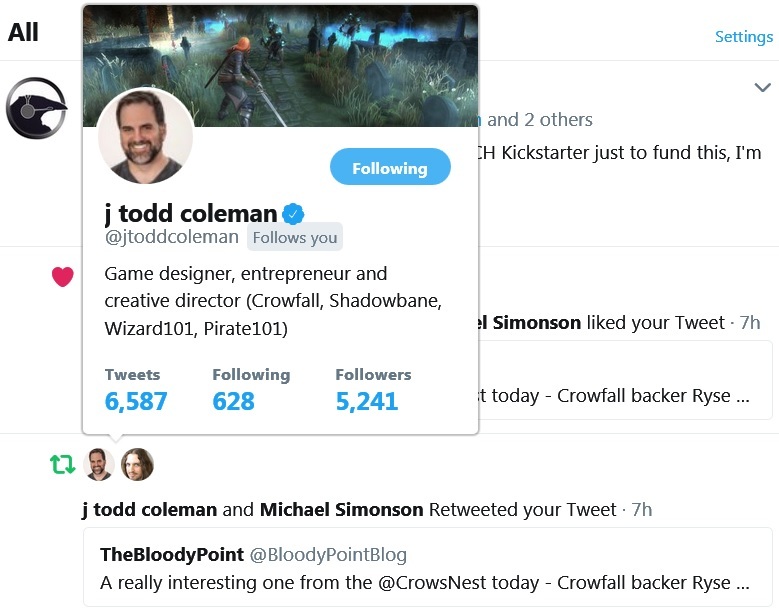 I feel like the sentiment that a ‘Modder’ style community of content creators will really bring a constant source of life to Crowfall. That, even a decade from now, when the game has seen its limelight and lives in the hands of the dedicated few, that a core Content building community will keep the game alive and happy. After all, just look at Skyrim. It’s been out for seven years, lacked any MMO elements, and has a content buildin community of tens of thousands, still breathing new life into it. I love that this idea seems to be bringing others the kind of stary eyed excitement I felt while making it. There’s something wondrous about the thought of world building in a game you’ve really come to believe in. I’m really grateful that the concept has reached people.